Note: File System Object is only used for Drives, Folders and Flat files. Compare two text files by Binary values. > Using Text stream object we can perform Internal operations. > Using File System Object we can create Text stream object. Note: Read mode is default mode. 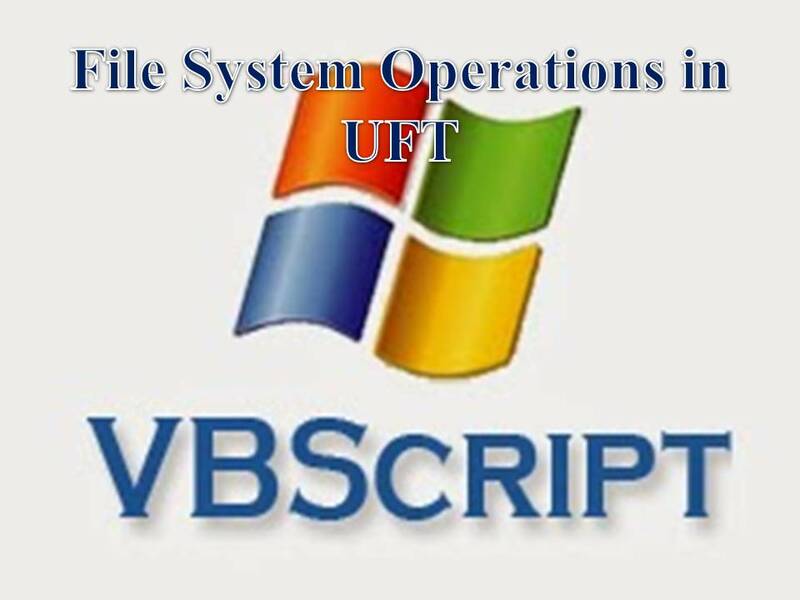 Note: Print command is not a Global VBScript command, it is only for UFT. 12) Read Test data (Range of Records, ex: 4 to 7 records) from a Text file and perform Data driven Testing for Login functionality. 18) Compare two text file by Size, by Text and by Binary values. How to work with multiple Text files? By using multiple Text Stream objects. No specific Class for creating Regular Expression Object, using New and RegExp keywords we can create Regular Expression Object.